Potomac, MD. (March 23, 2016) – MobyMax, the most widely adopted personalized learning curriculum in the United States, introduces social studies for first and second grade. Grades third through seventh will be available by August 1, 2016, and eighth grade will be released in the 2017-2018 school year. 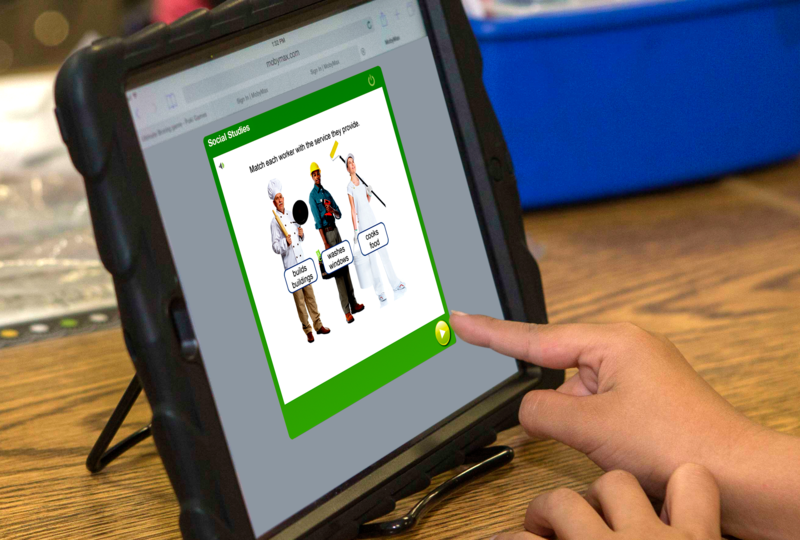 MobyMax Cognitive Skill Social Studies is an exciting addition to MobyMax’s complete K-8 curriculum, which was recently chosen as the best technology solution for e-learning and blended learning in the annual EdTech Digest Awards. In the new social studies module, students think and touch their way to mastery utilizing cognitive skill manipulatives. MobyMax was recently honored as a 2016 EdTech Digest Award winner in the E-Learning and Blended Learning category. MobyMax was chosen as the winner by a panel of educators, entrepreneurs, journalists, and technology professionals who recognize outstanding companies working to transform the education technology industry. To learn more about MobyMax, please visit http://www.mobymax.com. MobyMax unlocks the power of personalized and blended learning to help students learn twice as fast. The company offers the only complete K-8 curriculum covering math, reading, language, writing, science, social studies, and state test prep. MobyMax identifies skill gaps with find-and-fix technology that helps students increase one full grade level in just 40 hours. MobyMax’s comprehensive solution also includes diagnostic testing, assessments, progress monitoring, IEPs, and student motivation. MobyMax is used in more than half of all K-8 schools in the United States, and over 15 million students have been registered by teachers in MobyMax. For more information, visit http://www.mobymax.com.